I am finding out that you've been thinking in terms of to-do lists to get things done. I find to-do lists daunting. The biggest problem with to-do lists is that it kills the spirit in things. The second biggest problem with todo lists is that it mixes big things, and small things. -Catching IT talkingThe best reminders are questions... have you done that today? What time are you going to walk today? Gentle reminders. If the answer is resistance, the next question is: what purpose does walking for you? For me regular walking is increasing my capacity to walk a lot, and still enjoy what's around me. I am having recurring dreams of living in different countries six months at a time. Lots of walking: without stamina that would be sheer torture. In this article I'll probably talk a little more about projects. One of the reasons we never grow, we never get ahead is a view I call the "ball of wax" view. If you put a big ball of wax in the sink, the water won't be able to drain. Unless you melt the whole ball of wax, the water will sit in the sink until you do. Life doesn't work that way, and neither do projects. Life and projects are more like balls of yarn. You can snip at the loose ends of the yarn-ball, pull out a little here and a little there. No big steps at any one time. Once you've pulled out enough yarn, the water drains through the now loose and cushy ball. There are projects that are pie in the sky, and don't move... ever. But real doable projects do move after a while. Real projects go through seven stages to completion. Here are the stages of a project I learned in Landmark. Most of you will find yourself in the first stage... If you don't DO this first stage, the project will disappear... or become an unfulfilled dream. Many of you try to start a project in the middle. You fail... Or you become a machine, no joy. Listen (the issue to conquer: Express) In this phase you talk. You keep talking (it can be in writing) until you are clear. What you are trying to formulate is what it is you are going for and why. This can take a day, or a year. My projects spend a lot of time in this stage. You are lousy at it. Because unless you are clear your speaking and your writing isn't clear either. Remember (the issue to conquer: Forget) In this stage you still talk. A lot. Think a lot. Dream a lot. You can see that each stage also has the seven stages: you'll remember or you'll forget to formulate the project in conversation... Conversation probably came and went, in early days. Adding time, people, and media -- keeping the conversation growing in mass. Meetings, facebook, twitter, buying some stuff that will keep reminding you of what you wanted to do. Action, and then continuation.Pamphlets, trying to get in the newspaper, websites.Anything that shows up and reminds you or anybody else is media.Sharing it on the Reclaim forum is media. Discussing it with me. Scheduling some actions. If you don't break through the thing on the right hand side, forgetting, you don't make it through and the project dies. If you don't remember to continue the conversation, then the conversation dies with time. 20% of projects die here in this phase... or we can say, only 1% of all ideas actually move to the third phase. Now you see why nothing much is happening in your life other than empty talking. I won't go further in the steps, because unless you get strong in the first three phases, you'll have dead dreams or project that are not inspiring. A student of mine went from cleaning houses, to becoming a sought after massage therapist in a year through this process. Each rang on the ladder requires you to conquer the "issue" of the stage... so doing projects this way is a transformational way. Remember what T. Harv Eker said (I paraphrase): It is not the millions of dollars that is the result, it is who you needed to become to be able to make, and have millions of dollars. The biggest issue seems to be speaking. Speaking in a way that the project becomes alive, infectious, and start living a life independent of you. The best way to do these projects, these stages is with people who will support you in conquering the issue. Most coaches, alas, are like drill sergeants, push push push. But to conquer the "issue" you need someone who is conscious of that, who is more interested in solving the issue, having an empowering context, than some result you promised. A project can be small, and a project can be big, but a project that is worth practicing on is bigger than what you need, what you want, what you should... It goes beyond it. And that is the job of the context. Anything, any activity, any project, that is just about you will not leave you fulfilled. What something is about, is created in language. We call it context. Conceptual language, language that creates, is the only difference between animals and humans. Learning to use your tool to create context (that is another word for what something is about) should be your primary goal, if you would like to live a fulfilled life. You can be outwardly successful without a context big enough to alter your emotional relationship to what you are doing. Some really successful people, at a certain point, start becoming a philanthropist. I bet you know about a few. That is a dead giveaway that their working years, their life, their business, has been all about themselves, that their context was tiny. It is possible to contribute to all of humanity without ever making a donation, spouting "giving back", or being charitable. It is all in the context, because context is decisive. Context is decisive? of what? Decisive of your experience of life. Decisive whether you'll do what you said you'd do or not. Without inventing a context you are left with the default context which is "having to, needing to, wanting to, and should"
What you have to, is protect the context when you are done inventing it. Protect it from the noise in the world, from other people, even from your ordinary self. Some 17 years ago I hired a business coach. It was very expensive, $270 a session. And he wanted to "deliver" and push me to make more money, make more sales. He was stunned when I told him that I need him to help me keep the conversation, the context alive, and inspiring to me. It resulted in me having the best 11 years of my life, doing a business I loved. PS: Some website links on "context is decisive"
PPS: in the Reclaim, once you have an idea of what you want to accomplish, this type of coaching will be available. .. if you qualify. By the way, my "prayer" has been, for the past five years, to have clients who are up to something... It's as rare as a big diamond... very rare. This article felt great. Thank you! 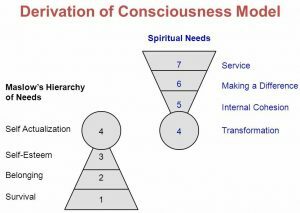 Previous Previous post: 4 Stages of Consciousness… where do YOU live? Next Next post: Indigestion… what is it and why is it the number one killer?